2 x keys, 2 x fobs, 2 x cobra touch key. WVTA model so COC is available for export @ £100 extra unlike the SVA models. Genuine WVTA sport 160, very rare model with a lot of factory upgrades, 160bhp engine, front mounted oil cooler, adjustable anti roll bar, victory alloy wheels, raised rear spoiler just to name a few of the upgrades that came as standard on this model. Huge amount of service history and invoices. The service booklet is present with stamps, it has every MOT from new and the important cambelt was done less than a year and a half ago, last serviced less than 200 miles ago. 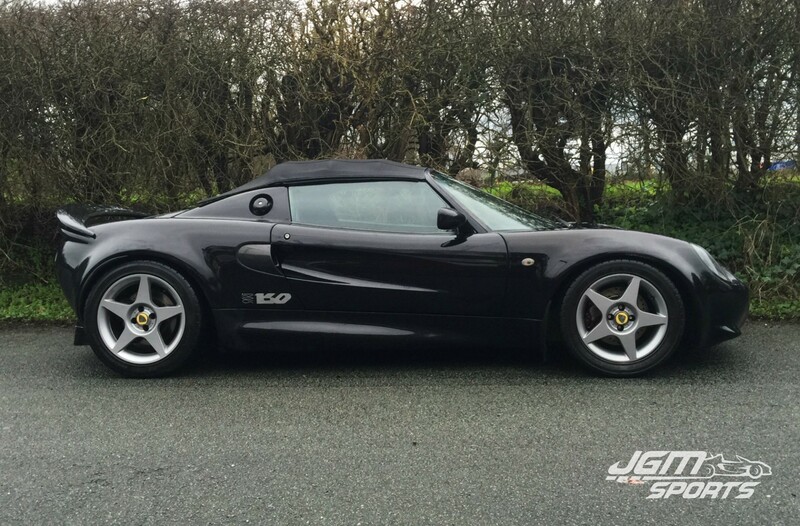 2000 HR Owen Sports Cars 938 miles – First service. 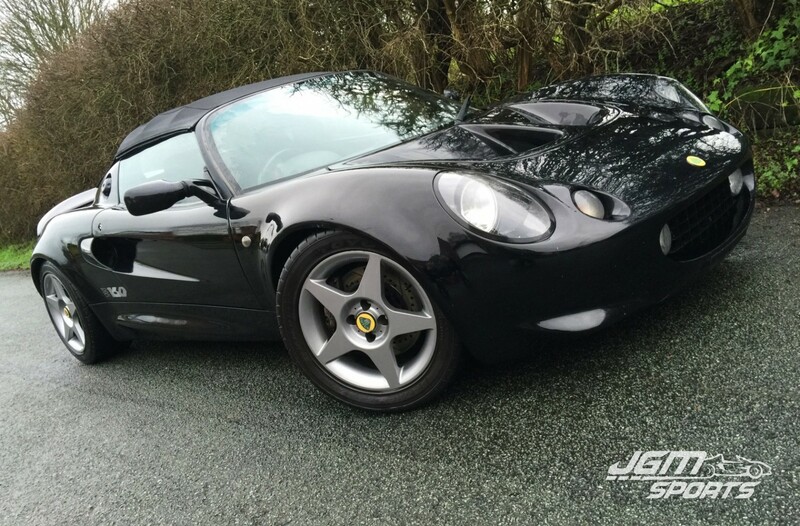 2001 HR Owen Sports Cars 4,899 miles – A service. 2002 HR Owen Sports Cars 9,583 miles – A service. 2003 HR Owen Sports Cars 10,293 miles – B service. 2003 10,343 miles – MOT. 2003 Lakeside Engineering 15,112 miles – C service, cambelt, alternator and belt etc. 2005 18,209 miles – MOT. 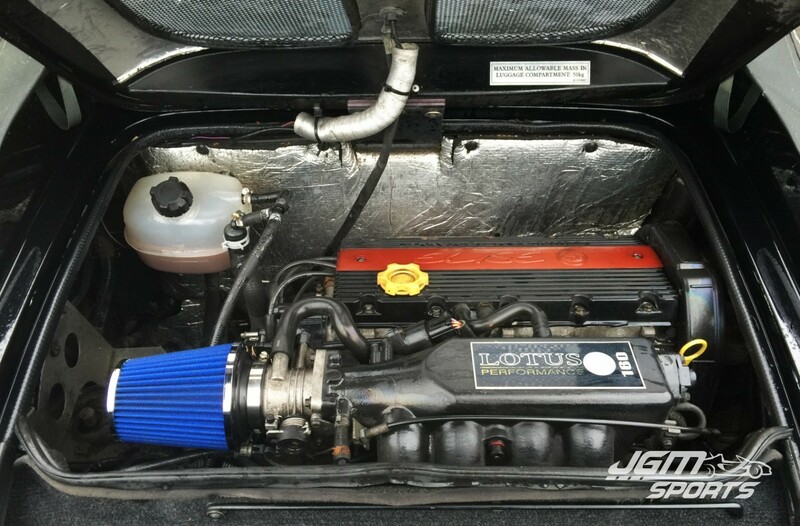 2005 Lakeside Engineering 21,560 miles – A service. 2006 27,262 miles – MOT. 2006 Lakeside Engineering 27,263 miles – B service. 2007 29,386 miles – MOT. 2007 Allon White Sports cars 31,243 miles – A service. 2007 Elise parts – New heater matrix. 2008 32,743 miles – MOT. 2009 34,220 miles – MOT. 2010 37,754 miles – MOT. 2011 41,825 miles – MOT. 2011 GST Performance 41,825 miles – A service. 2012 42,685 miles – MOT. 2012 Paul Matty Sports Cars 43,639 miles – A service. 2013 47,679 miles – MOT. 2013 Paul Matty Sports Cars 48,026 miles – A service. 2014 Paul Matty Sports Cars ??,??? miles – C service, cambelt, alternator belt etc. 2014 49,430 miles – MOT. 2015 Paul Matty Sports Cars 50,604 miles – A service. 2015 50,604 miles – MOT. LSS suspension (factory) with Exige S1 springs. Sport 190 motorsport fixed seats. Elise parts 4-2-1 exhaust manifold. Elise parts high pressure alloy radiator. Elise parts PRRT (remote thermostat) with silicone hoses. Elise parts lightweight alloy belled discs all around. Elise parts lightweight ball joint plinths. Elise parts toe link kit. Elise parts throttle linkage kit. Elise parts adjustable lower engine mount. Elise parts clutch slave cylinder support bracket. Elise parts carbon side scoops. 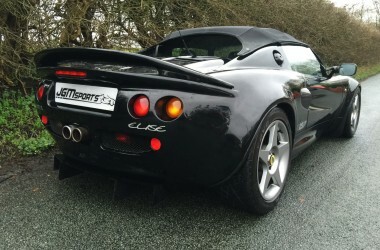 Elise parts carbon side sills. Elise parts quick shift and bush’s. Elise parts fuel filler cap. Pro alloy vented front undertray for oil cooler. The body work is in good condition for its age and mileage. Interior is in good condition with carbon sill pads and immaculate corrosion free floors. The seat centres of the 190 seats have faded with age however they are still available to buy new. Drives superbly with no problems and the usual 160 power delivery.